Recently I stumbled across some unindexed records at FamilySearch.org for Catholic churches my mother and her ancestors were parishoners of in Houston, Texas. Using some indexes built into the documents, as well as some paging to appropriate dates, I found records for a number of relatives. Above: Baptism at St. Joseph Catholic Church, Houston, Texas, on December 9, 1928, the second record above. Godparents were Frank O’Rourke and what looks like “Mrs. Agnes Wolfe.” This could be either her aunt Agnes Guokas Payne, or her aunt Annie Volce Wolfe, wife of her grandfather’s brother Shannon Wolfe. 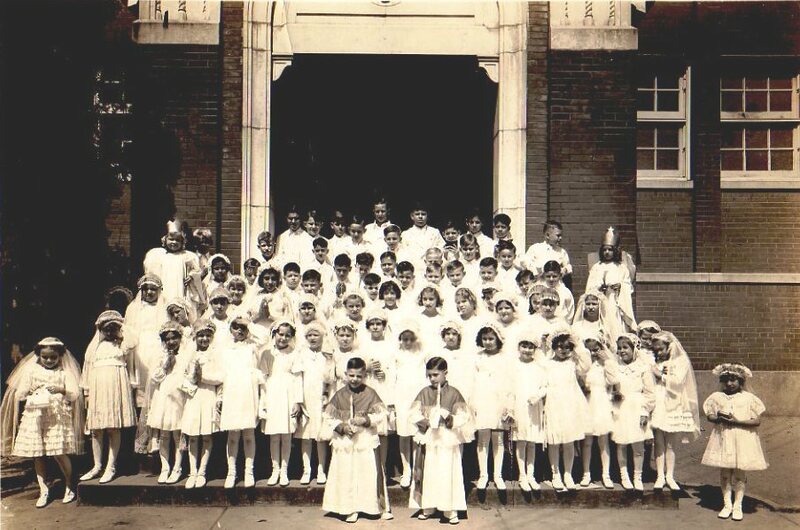 Below: First Communion at St. Joseph Catholic Church, May 9, 1937. Mom's record is at the bottom right. Her older brother Charles Guokas III also received his First Communion this date; he is #9 in the left-hand column. 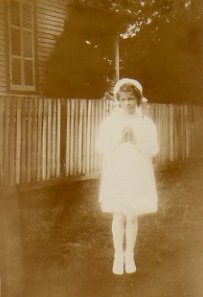 Left: Geraldine Guokas on her First Communion Day, May 9, 1937. Above: Confirmation at St. Joseph Catholic Church, Houston, Texas, May 15, 1938. Mom's record is at the bottom left, and her confirmation name is Mary. Her high school friend Vera Barbosa Stowell is just above her on the list. A Mrs. T. A. Breed was apparently the sponsor for all the girls. Below: Marriage at Annunciation Catholic Church, Houston, Texas, September 11, 1954. Witnesses were Norine Moreland Valicek and George J. Kaiser Jr., and Rev. Felix J. Penna performed the ceremony. Gerrie’s mother’s name is wrong (it should be Melzina Wolfe Guokas), as is the date of baptism (it should be December 9, 1928). 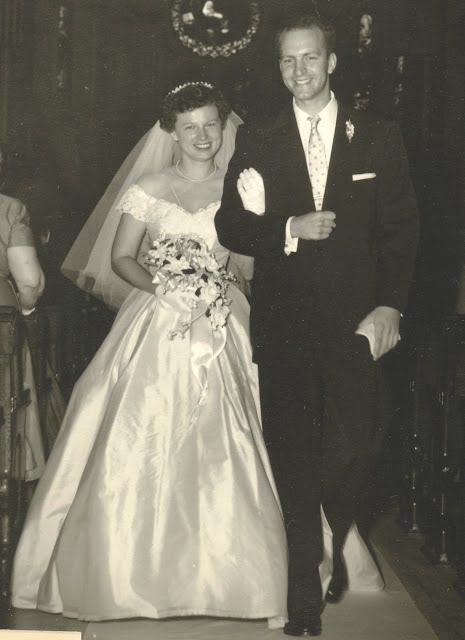 Below: Geraldine Margaret Guokas and Frederick Henry Pape (1929-2017) leaving Annunciation Catholic Church in Houston, Texas, after their marriage ceremony on September 11, 1954.